“Google can make or break my business, so I have to do whatever they say.” I can’t even count how many times I’ve heard similar things from small business owners and webmasters. Do you know what I say to them? Why so harsh? Because I’m tired of the “Google God” nonsense, where people truly believe Google is the be all and end all for any site on the Web. It’s not. It’s a search engine. 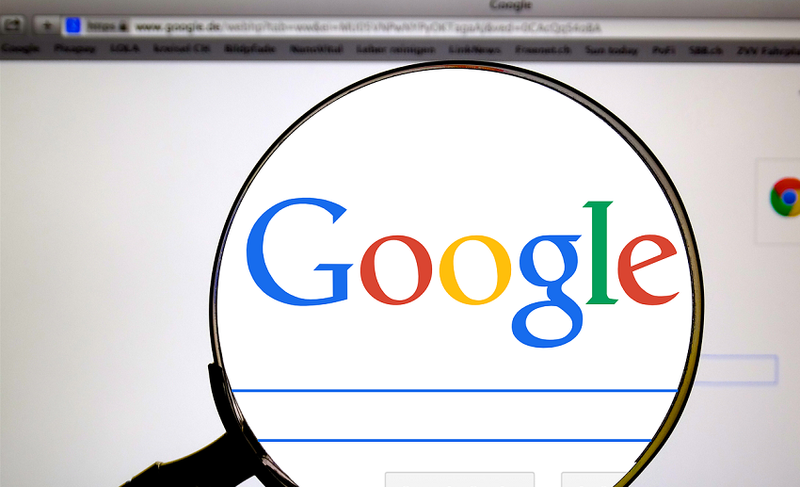 More importantly, Google is a tool — a tool for finding websites and a tool for helping people find your website. There’s nothing wrong with Google on the surface (okay, so that’s a bit debatable), and there’s nothing wrong with making reasonable efforts to rank well for truly relevant terms. Still, that’s a far cry from Google making or breaking a business. And if you know what you’re doing, neither Google , nor any other third party will have that much control over your project. Why? You’ll diversify. There are other traffic sources out there; some are much better than search engines when it comes to bringing targeted traffic. Even if your Google traffic disappeared tomorrow, you could still run a highly successful site or online business. Run a Blog – If your site already has some traffic, add a blog. The subscribers will keep coming back regardless of search engine rankings. Issue Press Releases – If you’re doing something newsworthy in your niche or industry, put out a press release / news release. They’re a great way to build relevant links and traffic not only directly but through your pick-ups (each time the release is republished or used as a source for a story in the media or on other blogs). If you don’t have anything release-worthy, come up with ideas. Release a new tool. Publish a free report. No matter what industry you’re in, you can be newsworthy with your audience with just a little bit of effort. Use Social media – Social networks, social bookmarking, Twitter, etc. can be fantastic sources of traffic that by-pass the whims of search engines. You’ll want to spend a bit of time building your network with these social media tools. The bigger your audience there, the more traffic those tools can bring. Advertise – If you have an advertising budget, use it! If not, maybe it’s time to consider one. Sure, free traffic can seem more appealing than paid traffic, but advertising has its benefits. It might save time (and let’s face it, time really is money) when compared to things like maintaining a strong social media presence. It allows you to target very specific audiences as well, by picking and choosing which sites you want to advertise on. Of course, if you’d rather not bother with manually choosing publishers to advertise with, there’s always the option of going with ad networks. Those are just a few of the most popular and effective ways to get traffic to your website without having to rely on search engines. Can you think of any others? Leave a comment and share your tips with other readers. No, industry jargon is not cool. Lose the buzzwords already. If your neighbor’s kid in the 8th grade couldn’t understand your site, it’s time to re-work things. If you cater to the small group that understands and actually likes to talk that way, you’re missing out on a potentially huge market segment that doesn’t. That splash page you think is really sweet, really isn’t. People don’t want to wait for your page to load. They click a link or type in your URL and they expect the information they want to appear… like magic… yeah, that quick. If yours doesn’t, optimize. Trying to be “with it” creatively can really piss off your visitors who frankly couldn’t care less. Unless your site exists specifically to show off such designs or it’s absolutely necessary, don’t. You can be stylish without being slow. Your site might be online all the time, but your audience is not. If you’re neglecting offline marketing tactics for your website, you’re losing out on visitors (and potentially buyers). Don’t assume Internet marketing is the only way to market your website or online business. Have you made these mistakes? Have you made others you’d like to share? Leave us a comment and let us know what else website owners sometimes forget when it comes to managing and marketing their sites. Baconomy: Bacon For Bartering – Really? It's a good information to all online user.Actually, i don't know about more so lets see i will check all thing and way too .